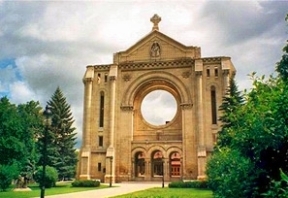 St. Boniface, has long been the principal home of Franco-Manitobans in the province and ranks as the largest francophone community in Western Canada. Visitors will discover a unique and historic architecture, thriving businesses, and a lively cultural scene.The community was first settled in 1818 to meet the cultural and religious needs of the Red River Colonys French and Métis inhabitants. A Francophone presence was thus established in the region before spreading throughout much of the future Province of Manitoba. St. Boniface became the Catholic and Francophone capital of the nascent Red River settlement.The area of the Red River settlement went on to become the Province of Manitoba in 1870, following a popular and democratic uprising led by the Métis leader Louis Riel. The Manitoba Act, the provinces new constitution, recognized the cultural and linguistic duality of the new province.Many of St. Bonifaces most important historic buildings  its city hall, fire station and post office  date back to this time, and remain fine examples of the architectural styles of the beginning of the 20th century, at a time when St. Boniface was ranked as the fifth largest community in Western Canada.The City of St. Boniface amalgamated with Winnipeg in 1972, and remains its most outstanding francophone community. The junction of St. Marys and St. Annes Road, in the heart of Old St. Vital, has long been a natural meeting place. St. Marys Road was once the famous Crow Wing Trail, an ox cart path that wound its way along the east side of the Red River to Minnesota. The first homes in the St. Vital area began appearing around 1822 when retired fur traders and Métis who took up farming along the Red River, and the community began to take shape in the 1920s and 1930s, when businesses and homes started to multiply in the area. With the waning of the buffalo hunt in the 1850s, the area grew in importance as it developed a thriving market garden economy, with its residents supplying the growing communities of Winnipeg and St. Boniface with fresh fruit and dairy products. 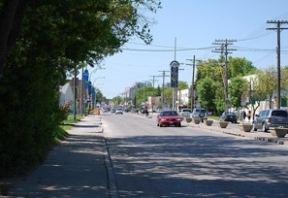 The community further developed after 1930, and the area amalgamated with the City of Winnipeg in 1972. The south end of the area is where one finds the Riel House National Historic Site of Canada and, nearby, one of the largest parks in the city, St. Vital Park. Visitors will surely appreciate the area for the variety of its restaurants, services and businesses. Now the southernmost suburb of Winnipeg, St. Norbert was originally settled in the early part of the 19th century by former employees of the North West Company  men who found themselves out of work following the North West Companys amalgamation with the Hudson Bay Company in 1821. These people of French and Métis descent took part in the bi-annual buffalo hunt as well as seasonal cart brigade work for the Hudson Bay Company, hauling goods between the Red River settlement and St. Paul, Minnesota. 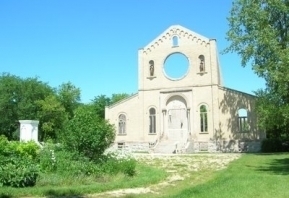 But with the coming of St. Norberts first parish church in 1857, established by Roman Catholic missionaries, a number of the communitys inhabitants opted in favour of a more sedentary farming life.